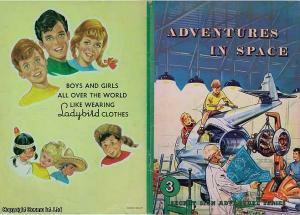 Ladybird was and still is a well-known children's clothing brand in the UK and Ireland. It focused on clothing and footwear for children aged 0 to 13 years old, and today is owned by Shop Direct, the UK's largest online retailer and parent company to household names like Littlewoods, K & Co, and Isme. Ladybird is still the third largest kidswear brand in the UK, with a growing market share of 5%. 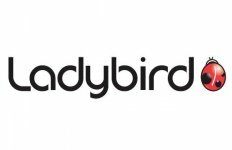 The main aim of Ladybird has always been to make kids' clothing that's both fashionable and functional, designed to cope with the rough and tumble of a child's life, from messy playtimes to smarter occasions. 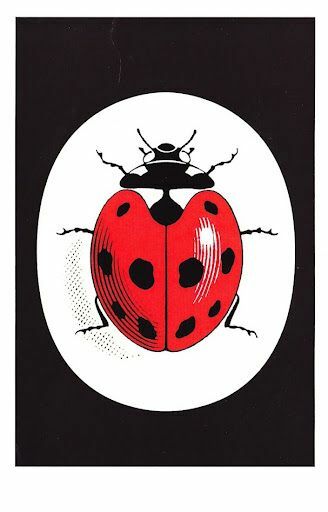 Ladybird has a long history dating back to the 18th century, with the Ladybird clothing name first appearing in 1938. Ladybird children's clothing first appeared in the UK in 1938. The brand was owned by Adolf Pasold & Son, and sold through various well-known high street retailers, including Woolworths and Littlewoods. 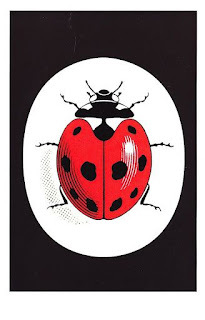 The name "Ladybird" was bought by Adolf Pasold & Son for just £5 from the Klinger Manufacturing Company because, according to legend, company founder Johannes Pasold had seen a ladybird in a dream when first starting the family firm in the 18th century. The 1950s saw the first of the famous Ladybird press adverts, depicting Ladybirds in various human-like roles including scientists and computer boffins. In the early 1960s Ladybird clothing was being promoted by "The Ladybird Adventure Club", a full-colour comic strip in the children's magazine Swift. This was drawn by John Canning, and depicted the unlikely adventures of three Ladybird-wearing children who contrived to flash their "secret sign" (the Ladybird label) in every episode. 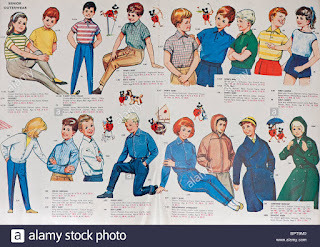 By the 1960s, Ladybird had established itself as one of the UK's best-known names in children’s wear, although it was often sold under a different brand name in chain stores like Woolworths and Littlewoods. At this time, Ladybird effectively sold two ranges; in high street stores, the clothing was cheaper and more accessible to ordinary families; while in independent retailers, where the Ladybird brand name was used, the garments were generally more expensive, high quality pieces bought for Sunday best or by more well-off families. In 1965, as British manufacturing started to decline, Ladybird merged with the world's largest sewing thread manufacturer Coats Patons. The deal gave Ladybird access to a huge range of wool and thread, opening up possibilities for new ranges. Coats Patons starting discussing the possibility of offering Woolworths exclusive rights over the Ladybird range in 1984. Sure enough, in 1986 the collaboration went ahead. Fourteen years later in 2000, Coats Viyella (as Coats Patons had become) sold the Ladybird name to Woolworths outright. Over the next few years, it became the favourite kids' clothing in the UK for under-5s, and was sold globally through stores in countries as diverse as China, Saudi Arabia, India and Malaysia. However the Credit Crunch of 2008 brought problems for parent company Woolworths, and the organisation went into administration in 2009. Both Woolworths and Ladybird were rescued by Shop Direct, the UK's largest online retailer, and relaunched online in the same year. Ladybird is now sold exclusively through Shop Direct outlets, in fact their Very company and Littlewoods advertise next day delivery. The age-old brand values remain, with a focus on creating fun, fashionable, functional kidswear. 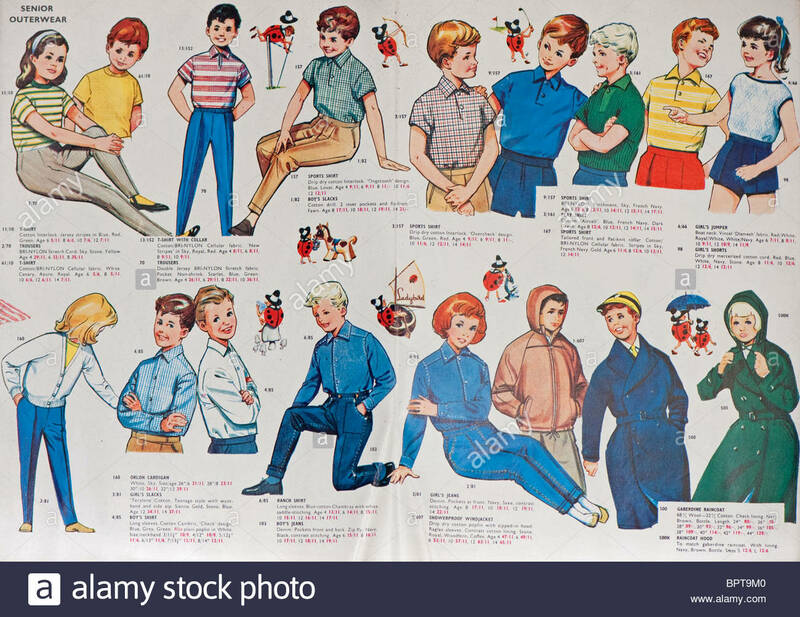 Many of our parents remembered Ladybird as being the gold standard for kids clothes albeit in very conservative designs. They were impressed by Woolworth's combining the latest styles and designs with the robust, double-stitched quality standards that made Ladybird Clothes so durable. Doubters were reassured by a money back guarantee. We all must have worn some of their items although I doubt if the boys will admit that they wore clothing with Ladybird on the label.!!!!! On this day 30th April 1960-1965. On 30/04/1960 the number one single was My Old Man's a Dustman - Lonnie Donegan and the number one album was South Pacific Soundtrack. The top rated TV show was Wagon Train (ITV) and the box office smash was Psycho. A pound of today's money was worth £13.68 and Burnley were on the way to becoming the Season's Division 1 champions. 30/04/1961 the number one single was Wooden Heart - Elvis Presley and the number one album was GI Blues - Elvis Presley. The top rated TV show was Bootsie & Snudge (Granada) and the box office smash was One Hundred and One Dalmations. A pound of today's money was worth £13.25 and Tottenham Hotspur were on the way to becoming the Season's Division 1 champions. The On 30/04/1962 the number one single was Wonderful Land - The Shadows and the number one album was Blue Hawaii - Elvis Presley. The top rated TV show was Coronation Street (Granada) and the box office smash was Lawrence of Arabia. A pound of today's money was worth £12.89 and Ipswich Town were on the way to becoming the Season's Division 1 champions. On 30/04/1963 the number one single was How Do You Do It? - Gerry & the Pacemakers and the number one album was Summer Holiday - Cliff Richard & the Shadows. The top rated TV show was Labour Party Political Broadcast (all channels) and the box office smash was The Great Escape. A pound of today's money was worth £12.64 and Everton were on the way to becoming the Season's Division 1 champions. On 30/04/1964 the number one single was A World Without Love - Peter & Gordon and the number one album was With the Beatles - The Beatles. The top rated TV show was Coronation Street (Granada) and the box office smash was Dr Strangelove. A pound of today's money was worth £12.24 and Liverpool were on the way to becoming the Season's Division 1 champions. 30/04/1965 the number one single was Ticket to Ride - The Beatles and the number one album was Rolling Stones Number 2 - The Rolling Stones. The top rated TV show was Coronation Street (Granada) and the box office smash was The Sound of Music. A pound of today's money was worth £11.69 and Manchester United were on the way to becoming the Season's Division 1 champions.